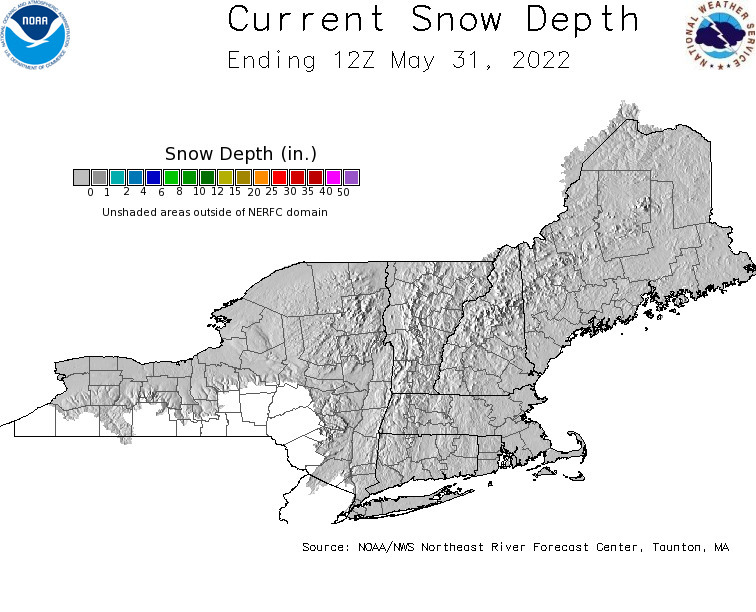 The National Weather Service has upgraded their Snow Depth Map to now include 12 different snow depth related maps so our Snow Depth Map link now takes you to their new page where you choose which map to view. The map we are used to is the second down on the left column but check out the others. Thanks, Roy for finding the link need to be updated!